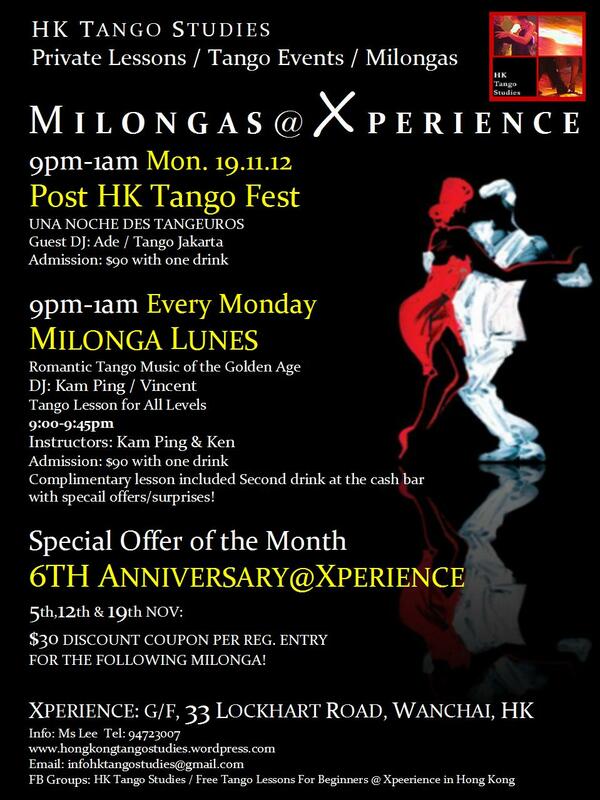 Special offer for our 6th Anniversary at Xperience – come & pick up your discount coupon at your next visit to our Milonga. Thank you for your long term supports!! !